The first task was to take the leg blanks down in dimension a little bit, not something particularly meriting photography. 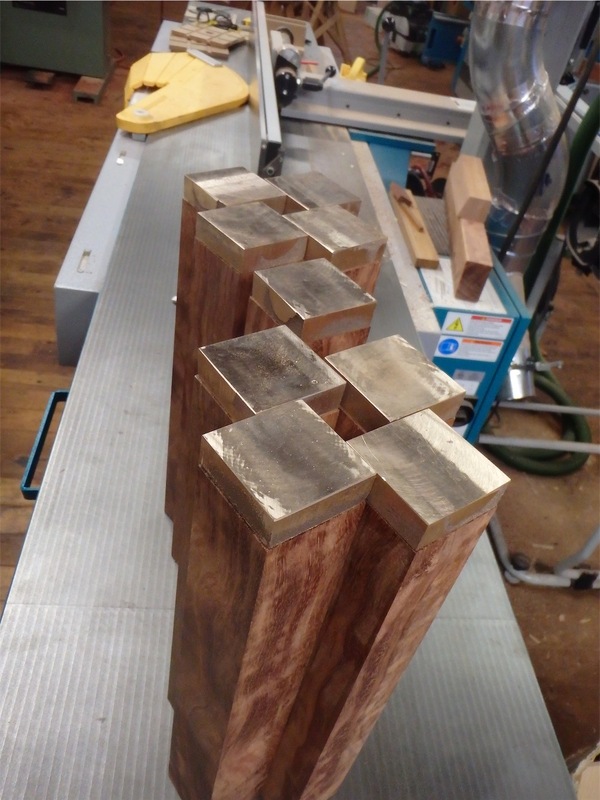 The next task was to mortise the ends of the legs for the bronze leveler feet. 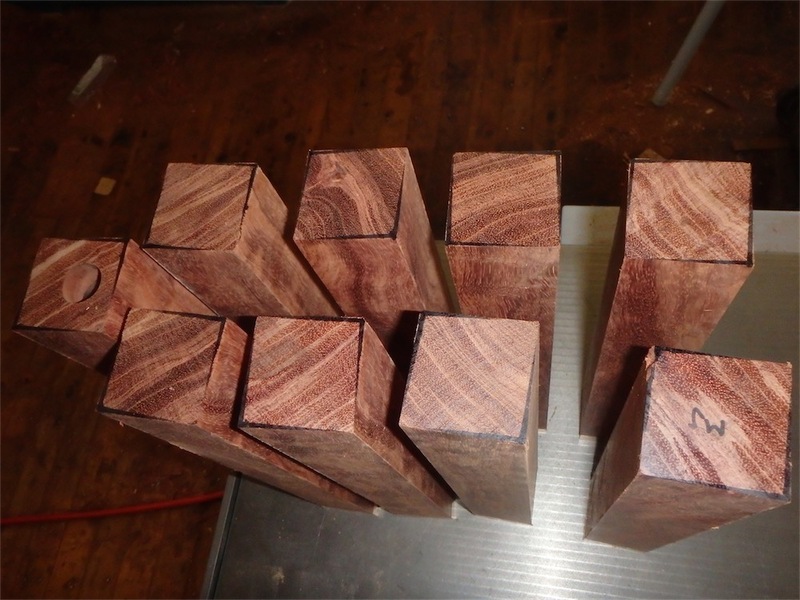 These mortises were 1″x1″x 1.0625″ deep, and I wanted to approach the task in two stages, the first being to rough out the mortises, the second to bring them out to dimension. 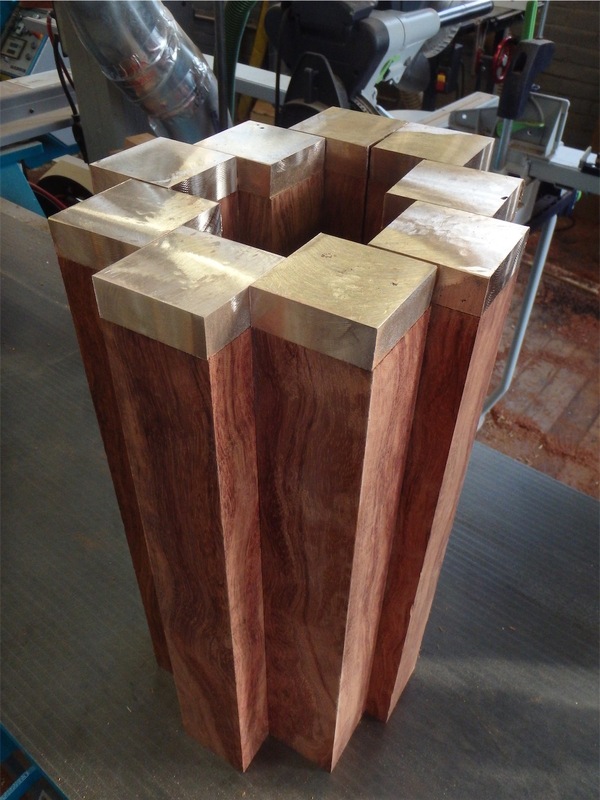 The mortises were to end up square-cornered, so they would be finished by chisel work. A drill is the standard choice, but drilling into the end of a leg, a task which on the surface might seem easy enough, is in fact a bit tricky most of the time. 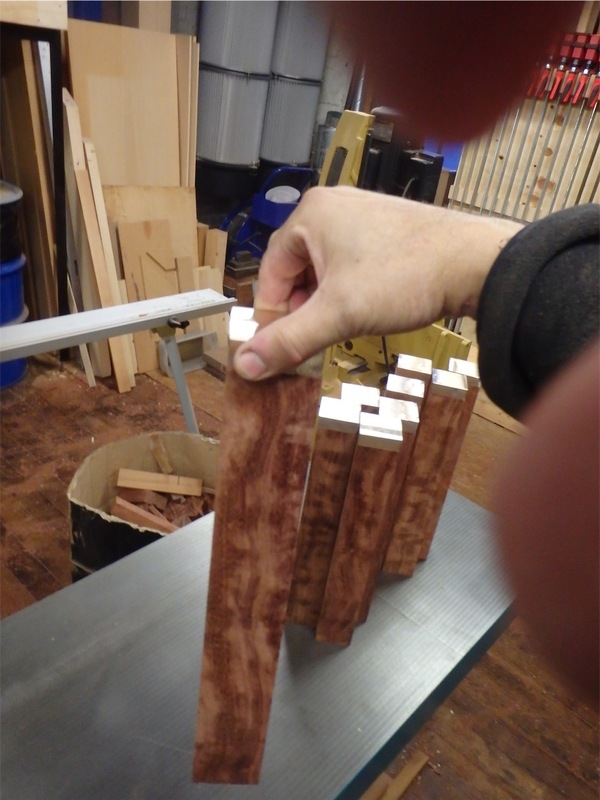 Unless the leg is short, it won’t fit into a smaller size drill press, and if it is long and you have a standing drill press, then you will have to construct some sort of fixture to hold the leg on a line axially true to the drill chuck. 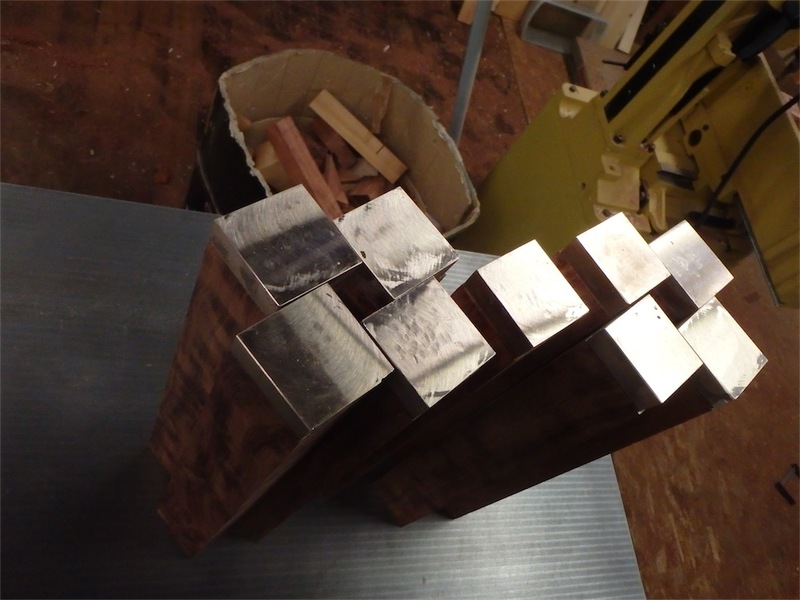 The right angle accessory, which came with the mill, is a seriously heavy chunk of iron and steel. I use the power z-travel, using the table as a lift to help raise the attachment up into position. As they say on a certain TV commercial from the 1980’s, just a li’l pinch between the cheek and gum will get you where you need to be. With alignment sorted, the two bolts on the attachment’s collar could be tightened to secure it onto the quill. 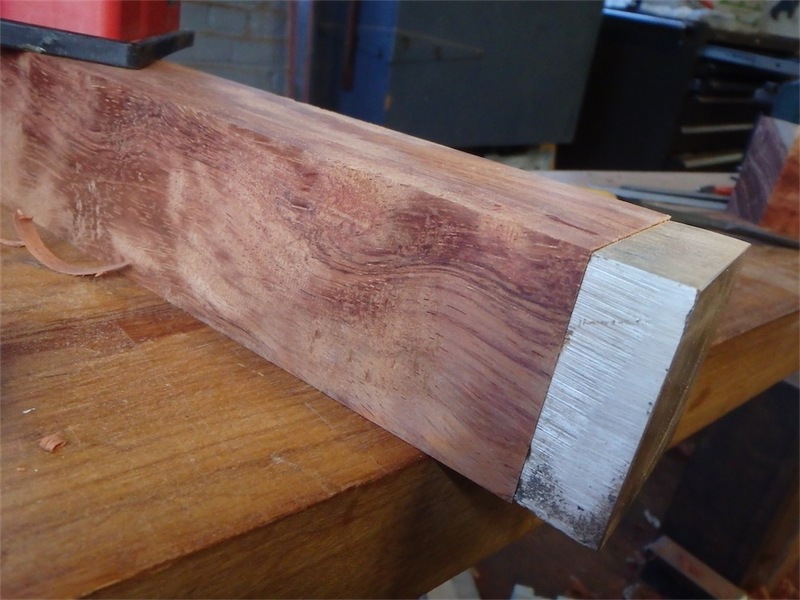 The cut was okay, except the drilling chuck allowed the Forstner bit to spin a bit, and the bit had actually come loose. I tried re-tightening it but the same thing happened again. Not wanting to screw around with that, I removed the drilling chuck altogether and put in a collet chuck instead, which can grab the shank of the bit with the many facets of the collet rather than the three used in the drilling chuck. This solved the problem immediately and I can see why machinists often prefer to use collet chucks instead of standard drilling chucks. 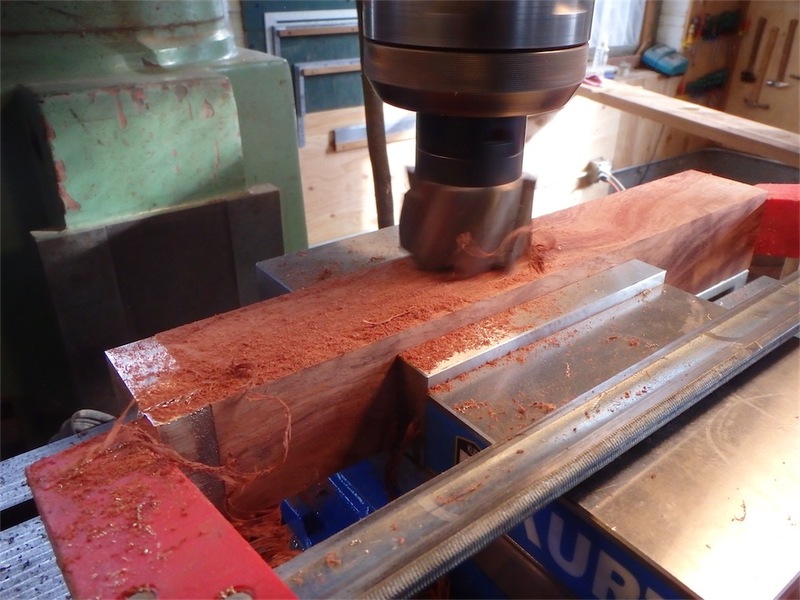 I’m going to start using them more often too, and an added bonus is that the collet chuck doesn’t stick as far out of the spindle end, so it is inherently stiffer. I’m tired of spinning drills in a chuck and damaging their surface. I felt like the fit was about right, just a hair snug. As usually this is one of the best blogs out there. Question, how will the leveler feet actually work? Will there be some sort of adjust-ability added to them somehow? Thanks and keep up the wonderful work. thanks for that. I will be fitting a few more bits to those leveler feet yet. That's the whole point of them – adjustable leveling. The Square Deal tables also had bronze adjustable leveler feet, and I think in some of the later posts in that series you'll find some pictures showing the mechanism clearly. That's some nice leg there, Chris. I was hoping someone would see the humor there. Thanks for the comment!